Colin Sullivan looks at the tool that is marketed as Ten Tools in One! 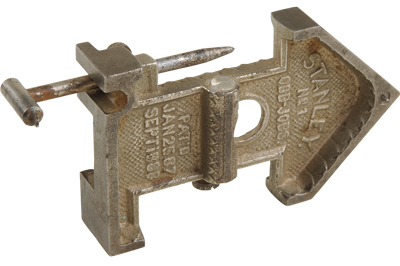 The more I learn about Stanley tools, the more I am amazed by them. No wonder they called themselves 'The Tool Box of the World'. This was no exaggeration! 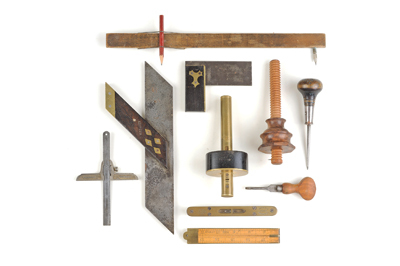 They certainly designed and made a huge range of woodworkers' tools, and took over many of the smart tools they found other companies making, quickly absorbing them into their own range. The Odd Jobs was one such. The idea came from George F Hall, who patented it in 1877. It was probably made by Stanley and sold by Herring and Sweasy hardware merchants. Within a short time Hall began to work for Stanley. Along with Justus A Traut, he redesigned the tool and another patent was granted in 1888. And this is when it was given the name 'Odd Jobs'. This new model was very much like the one shown here, apart from the surface decoration. 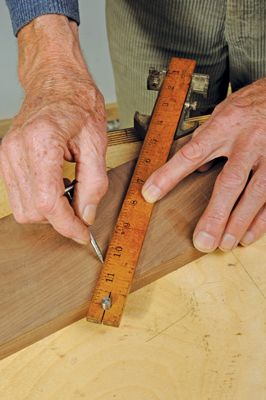 At first it was offered without the 12in rule, instead fitting onto the carpenter's own folding rule, but by 1896 a maple rule was included, similar to the one shown. 'Ten Tools in One' was the slogan used to advertise the Odd Jobs, previously called a 'Convenient Tool', and priced at 76 cents. Those were the days! It was in production for 47 years and discontinued in 1935. This small, versatile tool could be used as a try square, a mitre square, a spirit level, a rule, a scratch awl, a beam compass, a marking gauge, a mortise gauge, a depth gauge - and for testing a 90° corner. The boxwood rule is 121/2in in length and a solid 1 x 1/4in in section. The hole at one end will hold a pencil or a special metal peg 'supplied' for scratching a circle. 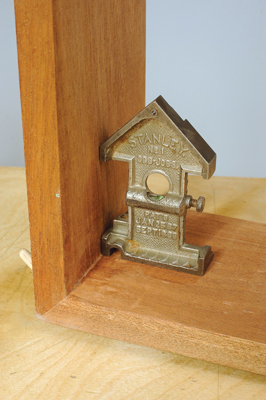 The stock is made from cast iron with a nickel plate finish and edges machined exactly square. 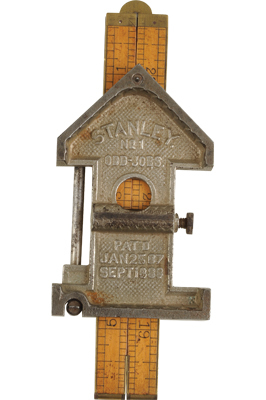 The Stanley folding rule is 1in wide when closed and needs to be this size to fit the stock; the model shown has the edges bound with brass. Axminster tools sells a brass Odd Jobs with a 150mm rule. Clearly a copy of the original, they call it 'a new version of a 19th century tool' and 'the forerunner of the modern combination square'. It is well made and just as useful as the original. A novel tool, but very useful.